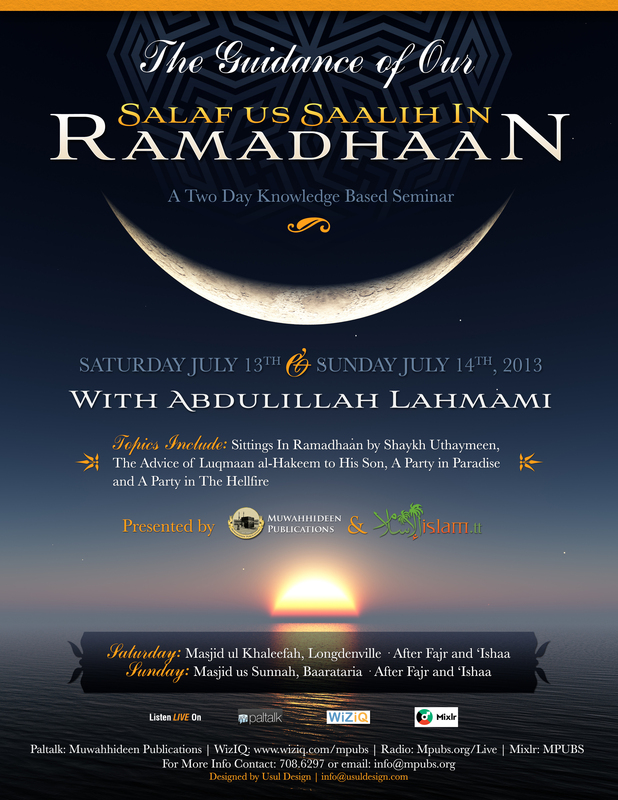 Muwahhideen Publications is pleased to announce a two-day knowledge based seminar with the noble brother ‘Abdulillah Lahmami (May Allah Preserve Him) on Saturday 13th and Sunday 14th July 2013 entitled, “The Guidance of Our Salaf us Saalih in Ramadhaan”. Masha'Allah such news brings joy to the heart. Abdulillah is from those who is known for his seeking of ilm from the firmly grounded scholars & is known to these scholars to be trustworthy. Take benefit from him oh my people in the West Indies. Insha'Allah our brother Abdulillah will have a nice time, although the trip is short.